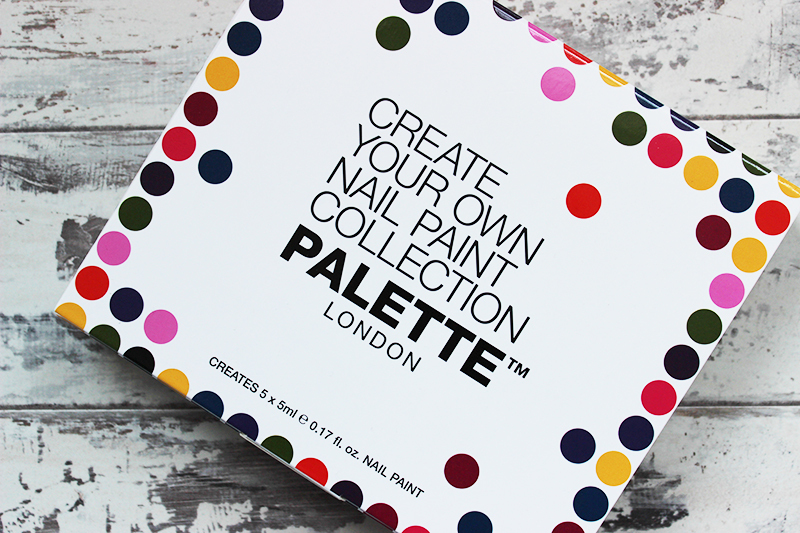 Palette London's new 'create your own' nail paint kits* remind me a little of an art class at school. It's all about getting creative and experimenting with colour to create your own custom shades of polish. Unlike my experiments at school though, when it comes to mixing up colours with these kits, you won't end up with a sludgy brown colour every time. Inside each kit you'll find five base shades of polish, some plastic droppers and a set of empty bottles ready for your creations. There's also a set of guidelines for a few starter colours, so if you're not quite sure where to start, you can use one of their ideas as a first try. It's a really simple kit to use - decide what sort of colour you want to make and then add the correct base colours to one of your empty bottles. Shake it up for 2 minutes and your finished colour is ready to go! It can get a bit messy, so I'd recommend you do it on a plastic tray or a surface you can clean nail polish from without damaging it, just in case of any spillages. I made a medium lilac shade out of the blue, red and white pots and was really pleased with how my first attempt turned out. There are literally thousands of shades you could make out of this kit, so it really just comes down to your imagination! The polishes themselves seem to last well on the nails, but will benefit from a nice glossy top coat to add a high shine finish. While I absolutely love the ideas of these kits, I'm not quite so keen on the price tag. 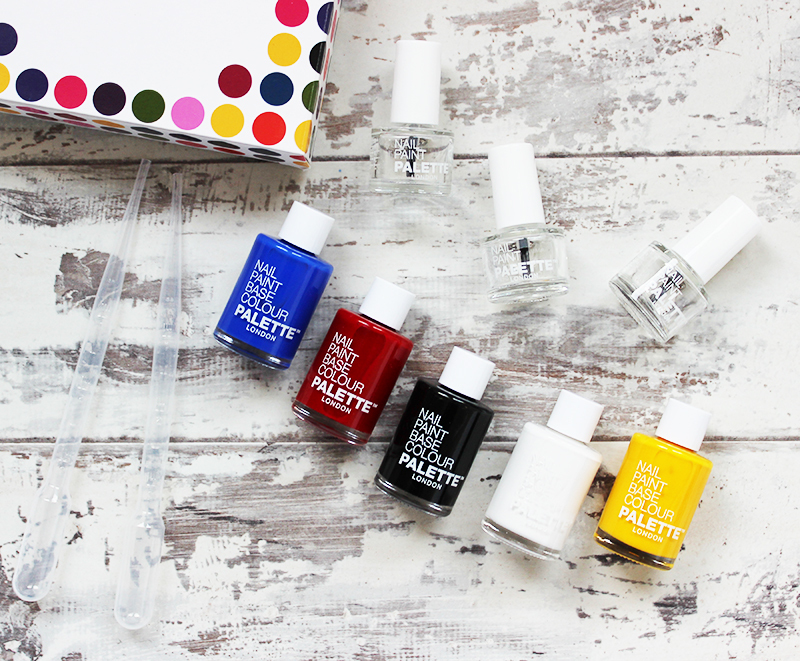 There are 2 sizes available - £25 will get you a kit that will make 2 polishes and the £50 kit will make 5. It's quite a premium price tag, especially given the fact that the polish packaging itself seems quite basic. I'd love to see it made a little bit more affordable, especially as I think it would appeal to a younger audience who are unlikely to spend that much on a nail polish kit. 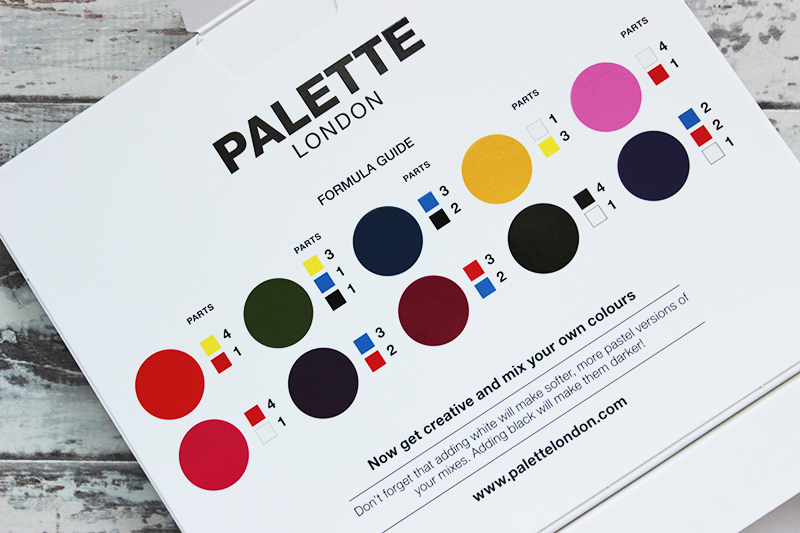 You can find the Palette London kits online via their website and also in selected larger Boots stores. What do you think of this concept? Is it something you'd like to try?